How does your organization help Komen fulfill its mission of ending breast cancer forever?Carilion does multiple outreach events in the communities we serve providing education and information about how Carilion and Komen collaborate to provide screening and diagnostic services. We also provide an education session quarterly to further educate and assist patients. We provide assistance to both male and female patients. Share 3 impact stories of individuals assisted through Komen funding. a) 45 year old black male patient from Pittsylvania Co. came in for a diagnostic work up. It was determined he needed a biopsy, and we were able to assist with the payment of the diagnostic service and the biopsy. b) 53 year old white male patient came from Patrick Co. for a biopsy. However, after additional imaging done here and history reviewed, the patient did not need to proceed with a biopsy after all. We were able to pay for additional imaging done, and also provide this patient with a fuel card. c) 36 year old black female from Roanoke City who had insurance , but had not met her deductible , was in need for a 6 month follow up diagnostic mammogram and ultrasound. We were able to assist in the payment of this follow up for her. Why/how are you motivated and inspired to do the work you do? 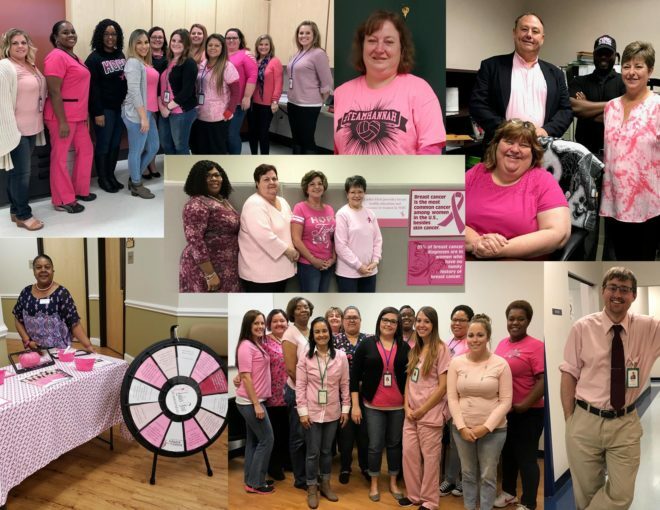 Carilion’s mission is, “to improve the health of the communities we serve.” This is directly in sync with Komen’s mission to “end breast cancer, forever.” Every day our staff is inspired by both of these. There are many people, men and women both, that are in need-whether it is screening or diagnostic services, financial assistance, or assistance with transportation cost. Being able to provide these services to patients in our community is a gratifying feeling. Knowing that by collaborating with Komen, and providing these services, is working toward that end goal of ending breast cancer forever is a great motivation every day. What else would you like our community to know about your project/organization? Carilion provides assistance to male patients, in collaboration with Komen funding, for diagnostic breast services. These services are not specified for women only. How does your organization help Komen fulfill its mission of ending breast cancer forever? Some of our staff members are breast cancer survivors. Their work/personal ethic through those difficult times motivates us to work harder in the community so no woman or man will need to go through the same. We recently lost one of our dedicated Ladies First Komen Educators, she fought breast cancer and was in remission for several years but recently had been diagnosed with lung issues and succumbed to those complications. She was a champion for the Komen/Ladies First causes and exemplified a true Komen Educator. Discuss your community’s need when it comes to breast health services and education. How are you addressing that need? Ladies First addresses the community need by promoting breast health education via Komen-trained educators during community centered events. One-on-one education to “know your normal” and details of the services available through Ladies First help guide women into screening services. The priority target group are those women who met the criteria of never, rarely, or newly eligible for screening. Without the funding support from the Susan G. Komen Blue Ridge Affiliate, these women would not be able to access breast health care services. The MHC Coalition for Health and Wellness was formed in 2005 upon the sale of the Memorial Hospital of Martinsville-Henry County (which established the Harvest Foundation). Initially funded by a Harvest Foundation grant with a Mission to research and invest in initiatives that address local barriers in health, education and welfare. After a series of surveys and research, it became apparent that this area needed an entity to oversee the implementation of programs in the areas of wellness, disease prevention, and health care access and coordination. The entity that was created is now known as the Martinsville Henry County Coalition for Health and Wellness. The MHC Coalition for Health and Wellness is committed to providing medical and primary health services at its Health Centers and through a variety of other programs, to promote health, reduce health risk factors and to increase access to medical services, primarily for the uninsured and underserved in the Martinsville-Henry County area. 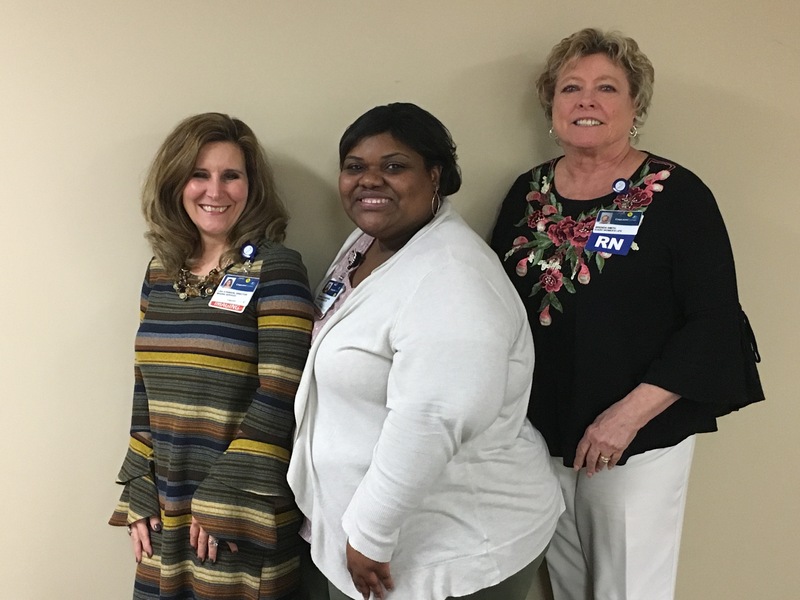 Ladies First Community Breast Health Initiative provides low-cost breast health screenings for uninsured and underinsured women who meet certain income guidelines. We also perform a variety of community outreach activities and provide Komen breast health education. Upon receiving the Komen grant, the LENOWISCO Health District took that opportunity to target rural communities in the counties of Lee, Scott and Wise and the city of Norton with an educational campaign. Our service area is typical of rural life, being limited in public transportation systems and access to many health services, including breast health screening services; particularly in Scott and Lee Counties where there are no hospitals. For this reason, outreach promotion included new venues in order to reach women and men who are uninsured or underinsured, and to spur creativity and innovation in achieving the proposed outcomes through unique models. One creative project, Pink Out, involved health educators attending sports events held at local high schools in outlying areas in October to distribute educational materials and pink ribbons. This venue provided an audience from the home school and the visiting school. Both of the participating schools allowed teams to dress-out in pink shirts to highlight the message and acknowledged the importance of promotion at half-time activity. Many women attending these events took the time to share their story of being breast cancer survivors. Also, each of the survivors took information to pass to family and friends not in attendance about breast health. As a complement activity, Komen poster displays were strategically placed in community public venues with high volume traffic to expand access to target populations during the month of October. Share three impact stories of individuals assisted through Komen funding. Scott County is home to many migrant workers that work on local farms to help supply our local residents and grocery stores with locally grown, farm fresh produce. Many of these workers are temporary and live here about nine months out of the year, but there are a few that reside in Scott County and call it their home. Many of these migrant workers do not seek regular medical care and screenings due to the fear of cost. 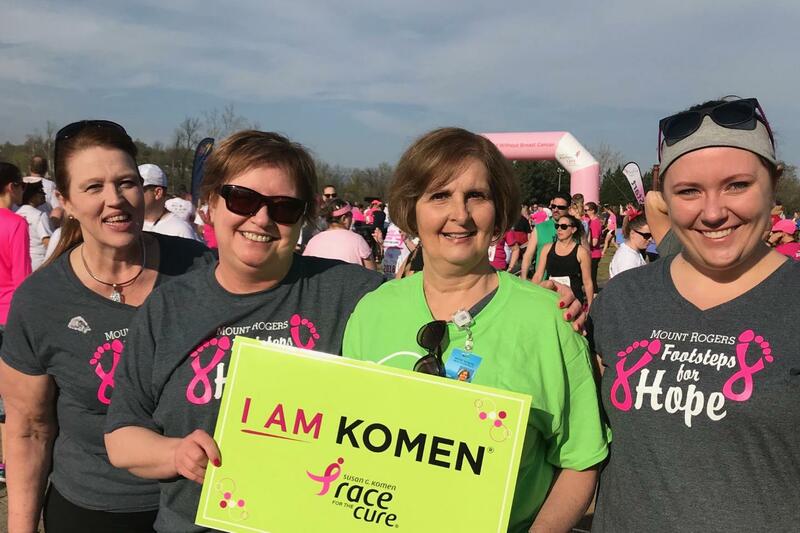 As a Komen Fund recipient, the Scott County Health Department was able to provide the necessary breast screening for a 50-year-old migrant worker. Had this patient not sought services through the Scott County Health Department she would have not been able to have the necessary screening mammogram that she received. This patient was forever thankful for our services and our ability to provide her with the necessary screening that she needed. A 42 yr. old uninsured female patient with abnormal clinical breast exam, and no mammogram within the last 5 years, received a screening mammogram that was abnormal and assistance accessing f/u care from the Nurse Navigator/Case Manager. She was very appreciate of the services and assistance she received. 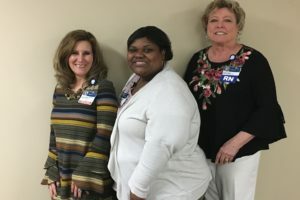 The LENOWISCO Health District staff operates with a sense of Appalachian family/community; often we have a connection or related to those in the community diagnosed with breast cancer. They are our family and friends – people we know and love. We feel it is important to get the message out to others at-risk: there is no “stigma” attached to breast cancer, resources are available to help with screenings and testing, and more importantly, with treatment. We want to make a difference and choose to take action in this battle to save our folks. Involvement is the key. We see community partnerships as vital step to get the message across to our public. We often host presentations, discussions and awareness campaigns through civic groups, schools, churches and local businesses. Flyers in grocery bags, signs in business windows, and volunteers wearing PINK helps get people involved and aware. Without Komen funding, our at-risk population of family and friends will not receive these most needed, vital services. Barriers for many women and men living in southwest Virginia face disparities specific to the locality such as low literacy levels, difficulty in accessing care due to a lack of primary care physicians, hospital closures, and limited community resources. Mount Rogers Health District supports Komen’s mission by educating women about breast cancer and the importance of early detection to improve patient outcomes, reduce late-stage diagnosis and improve survival rates. Through our partnership with Komen Virginia Blue Ridge we provide breast cancer screenings to low-income, uninsured and underserved women. Patient navigation is provided to women with abnormal screenings to assess barriers to care, coordinate diagnostic care and improve access to timely diagnostic and treatment services. Our goal is to improve access to timely, high quality breast cancer screening and diagnostic services to detect breast cancer at the earliest stages, provide coordination of care and ensure timely treatment. Mount Rogers Health District serves six counties and two cities in Southwest Virginia. The district is mostly rural, with many remote communities that may prohibit residents from seeking medical care. The area is characterized by high poverty rates, low education levels, and high rates of uninsured residents. These socioeconomic indicators are barriers to breast health care and create disparities in breast health outcomes for women in these communities. Low-income, uninsured and medically underserved women experience delays in breast cancer care, more late-stage diagnosis and higher breast cancer-related mortality and morbidity. In partnership with Komen VBRA our project provides free breast cancer screenings and patient navigation to reduce barriers to quality breast cancer care for women residing in target communities. Free screenings are provided to low-income, uninsured women, with emphasis on women who are never, rarely or newly screened. Patient navigation is provided to women with abnormal screenings to assess barriers to care, coordinate diagnostic care and improve access to timely diagnostic and treatment services. “I am inspired by the fact that the Komen program gives women who are without insurance or funds the opportunity for care. On numerous occasions I have sensed the initial discomfort of women who squirm a bit in their seat when I ask them about past screening mammograms. So many of them just make the assumption that a mammogram is something they should do, but they just don’t have access to that care. I then explain the program and watch the initial surprise, and then relief, wash over the faces of our patients when they discover that we have access to a resource which will allow them to take care of themselves with a screening mammogram. These emotions are only more heightened when we have a patient who may be symptomatic and suddenly realizes they have an option. It’s a flood of relief! If provides them with an autonomy they may have never experienced before. I love being able to give them this information, and I’m grateful to Komen for its campaign and goal to end breast cancer forever.